Life insurance can be an important asset to have, no matter where you are in life. If you have a family of your own, life insurance can help your family survive financially, if they didn’t have your income to support them any longer. And for retirees, life insurance can benefit surviving family members, can be used to support any funeral expenses, or, for some kinds of life insurance, can be used to fund activities like college tuition or a down payment on a house. Death in the family can leave members insecure emotionally and financially and uncertain about their future. But having term or permanent life insurance can smooth over the transition and provide your family with financial assistance as they adjust – potentially to a new income level, especially if you are the primary supporter of the family. If you and your spouse are planning to support your children’s college education in the future, life insurance can allow your spouse to still achieve this goal if something were to happen to you. Funeral expenses can set any family back, no matter if you are young and single or retired and married. Costs for services can fluctuate greatly depending on if you’re cremated, buried, have a full funeral service or just a gravesite gathering. Even if you don’t have any other reasons for life insurance, researching a term life insurance quote just for funeral expenses can help your family out. As you grow older and accumulate more property or expand your estate, you might want to investigate the taxes your heirs would be assessed upon your death. It would be an advantage for your heirs if you had life insurance to cover those inheritance taxes so they wouldn’t have to come up with the money themselves, or sell some of the estate. 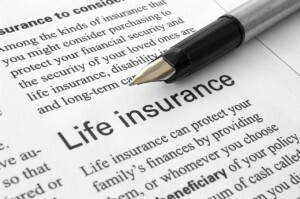 Life insurance is an important financial tool that could benefit you at many different stages in your life. Consider setting up an appointment with an Assuredgain’s associate to discuss the advantages life insurance can provide you. Please feel free to call 09962439282 for quote.